B Public Relations has been appointed to handle the PR for Patisserie de Bain; the pretty collection of treats for bath and body. Patisserie de Bain from Rose & Co is the perfect dolly mixture of treats for both the bath and body. 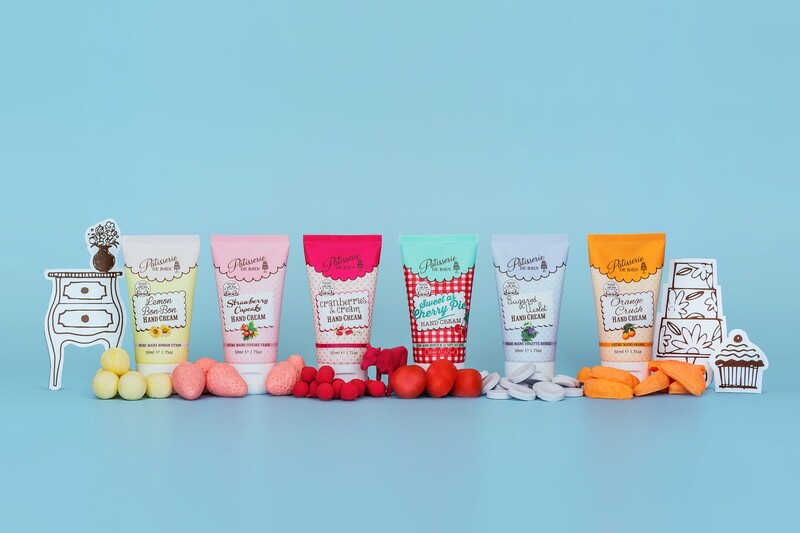 Inspired by colourful French patisseries and traditional sweet shop sweets, the Patisserie de Bain product range is an enchanting blend of styles, colours and nostalgic, sweet fragrances. Patisserie de Bain’s tempting ranges include Lemon Bon-Bon, Strawberry Cupcake, Cranberries & Cream, Sweet as Cherry Pie, Sugared Violet and Orange Crush. Patisserie de Bain is made in the UK and available at Superdrug stores nationwide. Prices start from £3.99.